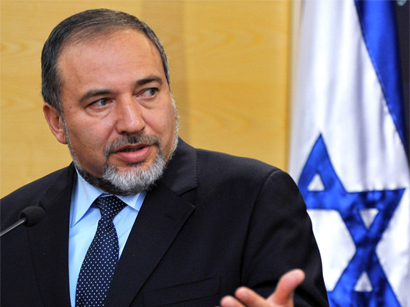 Azerbaijan is our strategic partner, friend and a true example of tolerance and multiculturalism, said Avigdor Lieberman, Israeli Defense Minister. The minister made the remark as he answered a question by Milli.az during a press conference organized for reporters of various media outlets at Knesset last week. The minister highlighted that the local Jewish community of Azerbaijan actively participates in social, political and cultural processes in the country, and is surrounded by constant attention and care of the state. Being a Muslim majority country, Azerbaijan is a home to a large Jewish community. The country’s north region of Guba is home to Azerbaijan's largest community of Mountain Jews, who live in Krasnaya Sloboda (Red Town). Lieberman, speaking about the Nagorno-Karabakh conflict, said that, along being a strategic partner and friendly country, Azerbaijan is brotherly country for Israel. Azerbaijan and Armenia for over two decades have been locked in conflict, which emerged over Armenian territorial claims. Since the 1990s war, Armenian armed forces have occupied over 20 percent of Azerbaijan's internationally recognized territory, including Nagorno-Karabakh and seven adjacent regions. The UN Security Council has adopted four resolutions on Armenian withdrawal, but they have not been enforced to this day. Lieberman went on to say that the trade turnover between Azerbaijan and Israel exceeds $5 billion, and the scale of trade is expanding. He noted that Israel is interested in expanding and developing cooperation in the sphere of military-technical cooperation. “Relationship with Azerbaijan is very important for us,” the minister noted. Azerbaijan is one of the few Muslim countries, which has deep political, diplomatic and economic ties with Israel. In this context, Azerbaijan plays a special role for Israel. The two countries cooperate not only in trade and economic sphere (Israel imports Azerbaijani oil through the Baku-Ceyhan pipeline) but also had broad interaction in military and military-technical spheres. Lieberman also spoke about appeals on recognition of the so-called ‘Armenian genocide’ by Knesset. “Israel did not and does not recognize the claims of Armenians. We are aware of the mass deaths, including Armenians in 1915 in Ottoman Turkey, but our country did not recognize the so-called Armenian genocide,” he said, adding that the position of individual Israeli politicians on this issue does not reflect the official position of Israel. Armenia claims that up to 1.5 million people were killed by Ottoman forces during World War I, in what it calls an act of 'genocide'. But modern Turkey has always rejected the term genocide, putting the toll at 500,000 and blaming the deaths on starvation and unrest in the broader context of the war.